Landshark Drilling can solve all of your accessibility or limited space issues by using any number of our limited access drilling platforms. The Pionjar drilling system is specifically intended for low clearance and reduced access areas and is an ideal option for indoor residential drilling investigations. Our Limited Access Tripod with a 70 pound hammer can be completely disassembled and even backpacked into remote and difficult to reach locations. 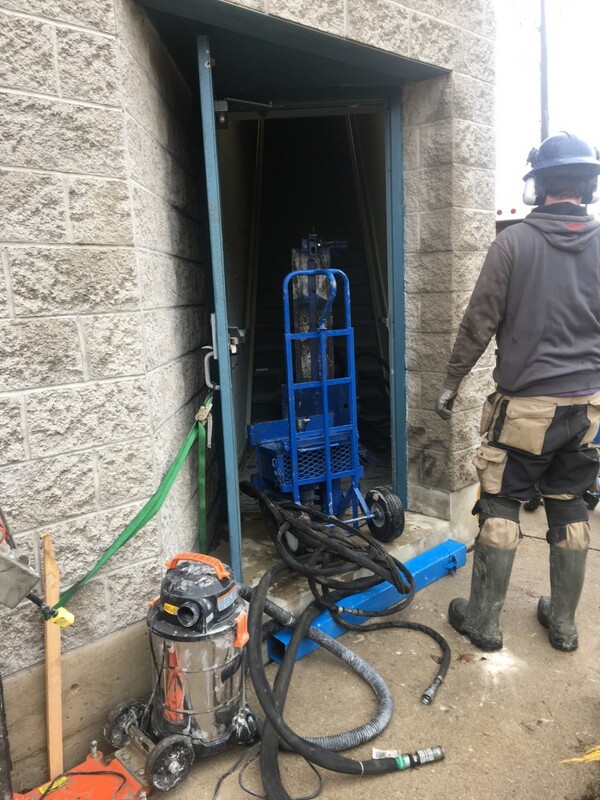 Where physical access is less of an issue but is inside a building or area of limited ventilation, Landshark’s direct push drill rigs are pre-modified to facilitate this application. Using technology specifically designed for the mining industry to operate in enclosed space and limited ventilation areas, this proven air scrubber equipment enables our direct push rigs to operate indoors while harmful carbon monoxide is safely removed.